Most of you by now know about the new gaming device being released by Sony later this year. 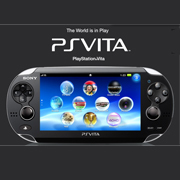 But for those who do not know what playstation Vita is, here is a little introduction. The price should not be one of the factor to love Playstation Vita. Its going to cost $249 for the normal version and $299 for the 3GS version, its better to say $300. Whereas the Nintendo 3DS now costs only $170 after cutting its price by one third due to its disappointing sales around the world. As a result of this price cut Sony is already under pressure of cutting its price for the PSVita. With only $200 you can get the awesome slim Xbox 360 4GB Console. Reducing the price is a must to attract the consumers. Following are the list of games for PS Vita : Click on the picture to take you directly to Sony’s website. I am a great fan of such games, very helpful list.